A leading voice at the crossroads of faith and politics offers a prophetic appeal for our times: faced with a growing gap between the rich and poor, bombarded by national security alerts that ratchet up our stress levels, taxed by a govern-ment that spends billions of dollars on war - where do we find hope? In this revised and updated edition of his classic, Jim Wallis insightfully critiques contemporary culture and politics, inspiring us with stories to convert our way of thinking and point to a solution to our current social and political dilemmas. 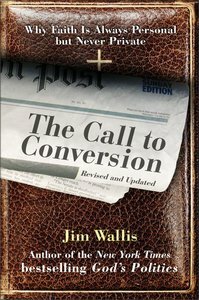 About "The Call to Conversion (2005)"